As you know, I have a wee bit of an issue with a Flower Burglar. After my last rant, I did, well nothing. 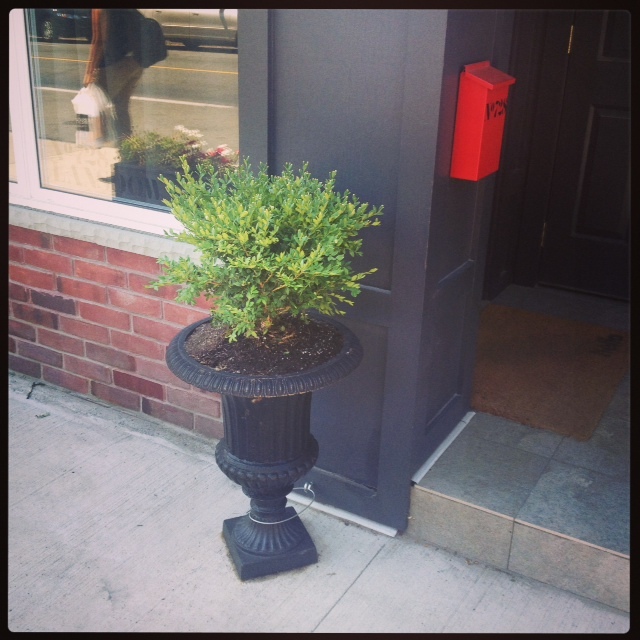 I planted a few cheap (and now shabby) plants in the front planter box (that no one would want to steal), failed at watering them, and never got another urn for the front stoop. Don’t get me wrong, I had grand ideas of staging a stakeout and adding a flower cam, but after being indecisive I ended up doing nothing. 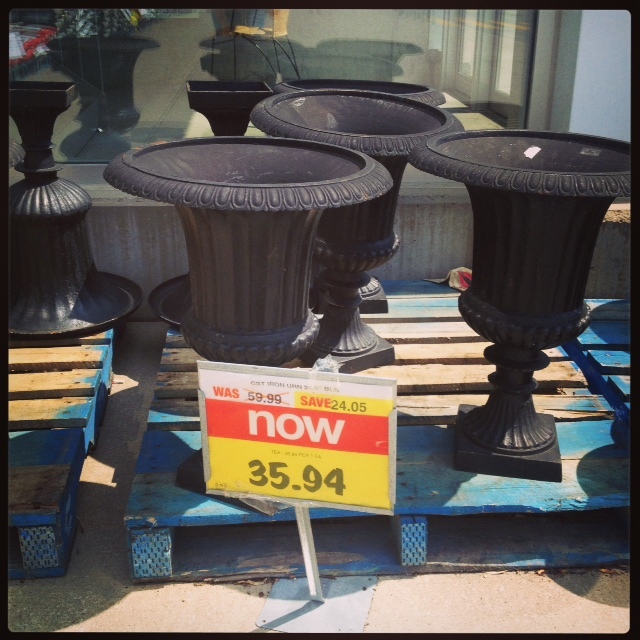 That was until I was at my local grocery store, and spied them liquidating their cast iron urns. This girl cant let a great deal pass her by, so the urn was loaded up into my in-laws car, and carted home. Now this puppy weighs a few pounds, and to increase tonnage I filled the bottom with bricks. However, I wasn’t gonna let that be the sole deterrent. 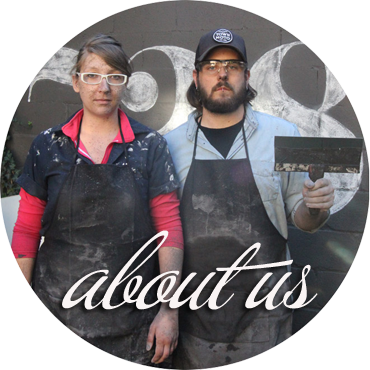 So we rummaged through the garage, found some aircraft cable from our outdoor curtain project, and picked up a large heavy duty eye-hook & cable ends. 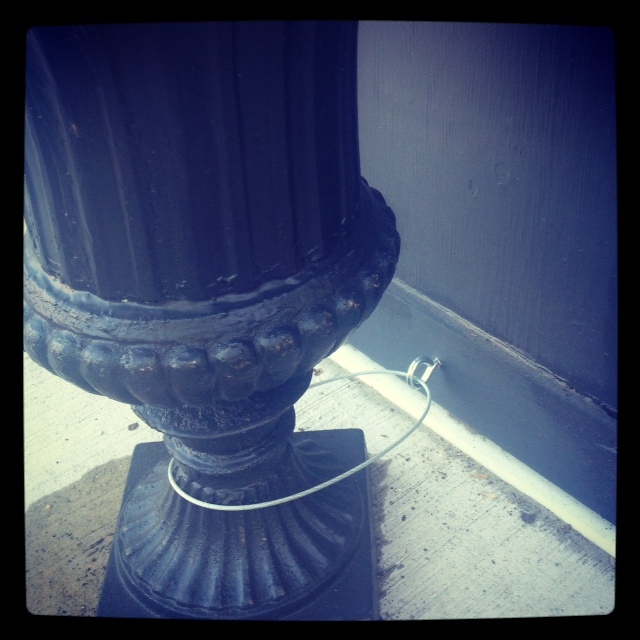 We attached the eye to the house, and then attached the cable around the base of the urn. Yeah, I know someone can still steal the plants, but hopefully they will be deterred. They COULD cut the aircraft cable, but I’m hoping our little flower thief will think that crosses the line. So far its been a week, and no flower burglars. Wish us luck! Eugenia; Our New Pet Poodle Tree.